When you turn to Google and search for “best transmission shop near me,” you expect that it will find the reputable shops that are tried-and-true, offer excellent service, and have a long line of satisfied customers. To be fair, Google does try to do its best at this. However, it’s still possible that companies who are less than savory can still appear near the top of the results, simply because they are the closest location to you. You can go a step beyond search results by looking at reviews, and this can make a difference, but there is one more tool at your disposal that can help you to uncover whether a shop is reputable or not. 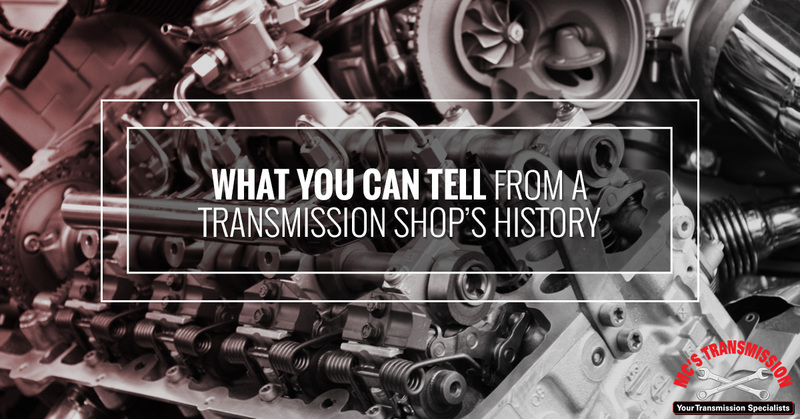 The secret is to check the transmission shop’s history. Sketchy shop owners will open a shop in a community, accumulate a bunch of bad reviews and negative publicity, close their business, and reopen under a different name. Sometimes they will relocate their business to a different city or state, and other times they will stay in the exact same location under a different name. Suddenly, their reputation is “clean” again, and they start the process over, until their bad service and low-quality work catches up to them. Check the Michigan Department of Licensing and Regulatory Affairs (LARA) Business Entity Search for the name of the shop you’re researching. If you find that the company has been in business for a long time under the same name, great! That’s a good sign. It’s also not necessarily a bad sign if a company has moved to a different location. Successful shops will expand their operations, move to a bigger location, or open additional shops in other communities. However, it could indicate a problematic company if they have moved frequently to very different locations. Legitimate transmission shops don’t have a reason to do this as it is very hard to start over in a new place with new clientele. If you find that the company has not been in business very long, that’s cause for concern. Call them up on the phone and ask a few questions. How long have you been in business? – Look for discrepancies between the Business Entity Search filing and what you’re told on the phone. Some companies might be legitimately new. This does not necessarily mean they are bad, though they might be less experienced. However, if the company looks like it is one year old on the State of Michigan website, but you are being told they have been in business for 15 years, that’s a red flag. Ask follow-up questions to try to find out if they used to operate under a different name, and look for reviews of their business under a previous name. How did you get into this business? – Someone who has opened a new shop, but who has worked for years for someone else, is a very different story from someone who doesn’t have verifiable past experience. MC’s Transmission was founded by Mark Culbertson and has always operated under the same name as we have expanded. Our customers love our work and you will, too! We just moved from Northville to Livonia, so check out our new, larger facility and schedule your appointment today.